A Trusted Source Is Worth A Lot! In today's hunting gear markets, there are a lot of choices to choose from out there. Every company has its own claim as to why it is the best product and why you need to have it in your gear bag. It can be difficult to navigate it all, when researching it and deciding what is best for you. Sometimes just researching it all can be too much, and you just give up trying to figure it out. A lot of times our decisions on what we are going to purchase, comes from recommendations from fellow hunters and friends. You might see someone wearing a jacket you were thinking about purchasing and ask their opinion about it. From that one conversation with a person that is actually using that product, you might be influenced into buying it or not. That honest feedback is all it takes to sway your decision one way or the other. Sometimes it can be hard to wait on making a decision to buy something, until you talk to someone that has that product and has used it. When it comes to Sitka Gear and hunting clothing, Montana Hunting Company wants to be that valuable source that you can get feedback from at any point. Or, maybe you aren't sure where to start with what you need for a certain hunt. 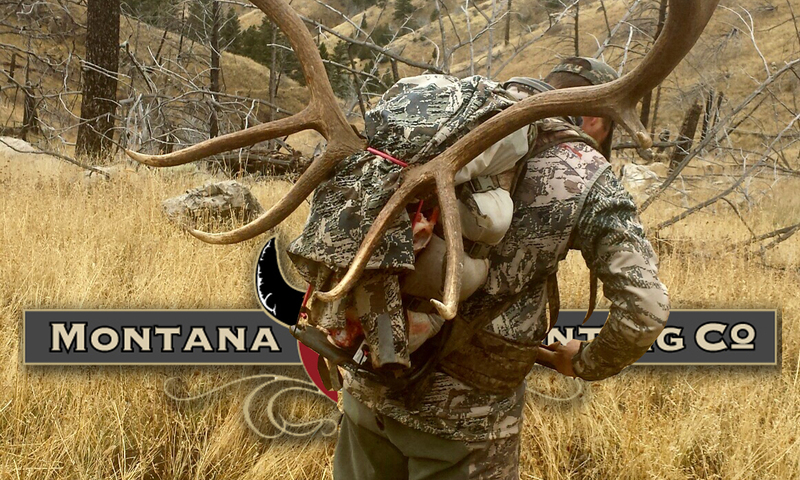 Montana Hunting Company is a great starting point to get honest ideas about the gear you need that will work. Our guides and staff members have been using Sitka since it came out and continue using on a wide variety of hunts and conditions. We are continually getting feedback about certain Sitka items and learning about what works for different circumstances. One of our guides may purchase a new shirt and wear it for a couple hunts. Once he gets a good judge on how that shirt is performing, our other guides will hear how great it might be and soon they are all wearing it. Most of our guides enjoy the Sitka gear and enjoy wearing different combinations of it, to see what works best for them. As I write this blog, I can tell you that yesterday I tagged along on a late January bison hunt along Yellowstone's northwestern border. The morning temps hovered right around -18 with a slight breeze that dropped the wind chill a bit further than that. I had a pair of Merino baselayers on under my Timberline pants and I had a light baselayer top on under my Merino shirt, Traverse Coldweather Hoody and Timberline Jacket. I stayed quite comfortable while hiking around, and more importantly, stayed warm while standing and glassing. I could have worn my Kelvin jacket or Jetstream jacket, but wanted to try out the other combination to see if it kept me warm, but not too warm while I was moving and hiking through the deep snow. The Traverse Coldweather Hoody was enough to keep me warm and the new Timberline jacket added that much needed protection from the slight breeze. It's days like yesterday, that allows us to test the gear and see how it really performs in certain situations. Our guides and staff aren't sponsored by Sitka and all the gear they use, they have personally purchased. Our guides have tried a lot of different companies and gear, and most of them fall back to the Sitka gear for the clothing that really works the best. As much time as our guides spend in the field thoughout the year, they don't want to be messing around with faulty or poor gear. With the amount of time and money they put into their own gear, they strive to use only what makes them comfortable and allows them to do their job as good as they can. This is why the feedback we get from our staff and guides can be trusted and why Montana Hunting Company feels confident in giving our customers the best options for Sitka gear they are looking at purchasing. 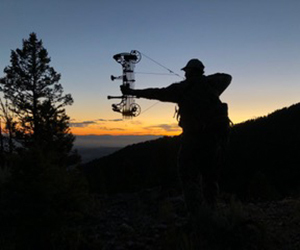 Montana Hunting Company has launched a new page on our website, to show how much we use the Sitka gear and why we can be trusted for your future Sitka purchases. The new page allows you to begin the journey of getting the right Sitka gear for YOU and not get led astray on something you won't need or shouldn't even try. Bottom line is that we USE IT, we TRUST IT, and we LOVE Sitka gear.